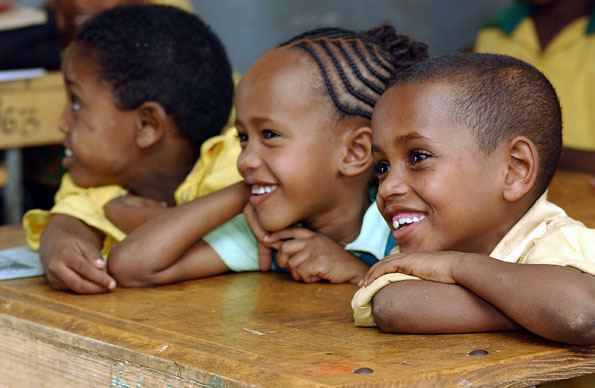 Following the success of our previous article on “Resolving Current Issues in Maternal Death and Women`s Health in Ethiopia” we have decided to follow up with Part 2. on nutrition, child development and female health. Statistics show that about half of all Ethiopians are undernourished. [i] Despite some food security issues in remote regions of Ethiopia, the primary underlying causes of such malnutrition are poor sanitation, inappropriate infant feeding, care and practices, and poor access to health services. It is important that we address the needs of malnourished children in particular, since improved nutrition will mean greater progress in development for Ethiopia, in addition to greater economic returns and a more productive and healthier population. We must improve sanitation (primarily in rural areas), target pregnant mothers and children under age two, and increase salt iodinization and vitamin A supplementation. Recent studies show that 26% of the population has goiter and 62% are at risk of IDD (Ethiopian Nutrition Institute Survey).Stunting is indicative of chronic, long-term malnutrition and is essentially a “failure to reach one’s biological potential for growth.”[ii] This affects 44 percent of children under age five, an alarming rate (UNICEF 2012). Wasting, or “significant recent or current weight loss,” affects 10.1 percent of children under age five (World Bank 2012). It is therefore quite clear that children are greatly, and detrimentally, impacted by this undernutrition crisis. 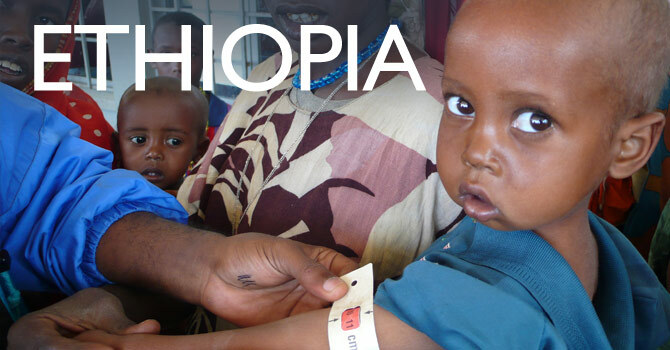 As the prior statistics have shown, Ethiopian children are at highest risk for malnutrition. However, their mothers are also a risk group. The health of a mother is a large indicator for the health status of a child. A primary reason for malnutrition in children therefore has to do with their care. Improved care practices would likely reduce the high child under five mortality rate due to malnutrition. It is clear that the rural areas of Ethiopia have a greater need for our attention than urban areas. 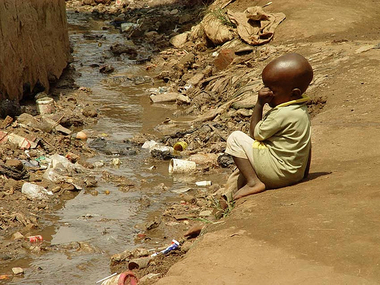 Rural areas have considerably worse sanitation conditions than urban areas. Additionally, rural areas are more affected by drought and therefore more likely to be undernourished. However, this is not to say that the latter should be ignored in our scope for solving the malnutrition crisis. The fact that nearly half of the Ethiopian population is affected by undernutrition indicates a problem that transcends regional differences. As our country emerges as one of the most populous in the continent of Africa,[x] there is an untapped potential for economic growth. However, if so many of our children are dying before they can attend school and later become productive members of society, that potential will remain stagnant. Furthermore, since nearly half of the Ethiopian population is undernourished, the workforce is at greater risk for becoming ill, and thus less productive. This impacts individual Ethiopians, since the more days of work they miss due to illness, the less they will earn. A healthier, more nourished population will likely mean greater economic development and growth for Ethiopia. The most important population to target would be pregnant mothers, newborns and children under two years of age, as well as pregnant mothers. This is because “undernutrition’s most damaging effect occurs during pregnancy and in the first two years of life, and the effects of this early damage on health, brain development, intelligence, educability, and productivity are largely irreversible.”[xii] It is of the utmost importance that we target this segment of the population. Since an overwhelming 62 percent of the population is estimated to be at risk of iodine deficiency disorder, a campaign to promote further iodization efforts may also have beneficial results. Increased immunization efforts accompanied by vitamin A supplement distribution would also be necessary to increase the overall nutritional health of the population. If you would like to sponsor and/or learn more about ICMHD`s current projects and how you can help the unfortunate who find themselves in these types of situations please look into our donations web-page. Any help will be greatly appreciated. [i] “A Funding Call for Nutrition.” The World Bank Group. 2 March 2006. 14 October 2007. <http://go.worldbank.org/PWF4UJAMO1&gt;. [ii] F. James Levinson and Lucy Bassett. 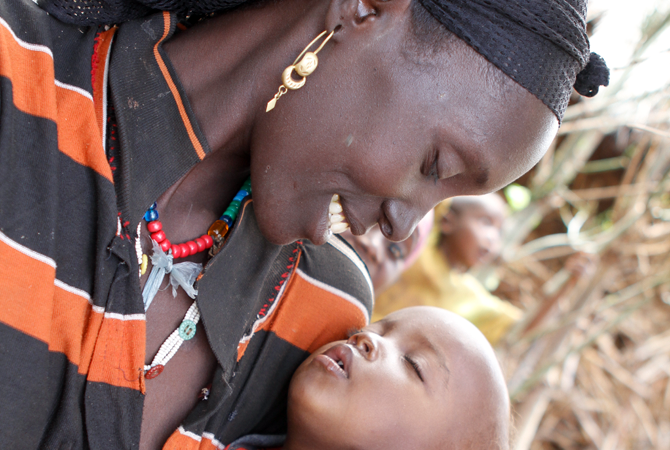 “Malnutrition Is Still a Major Contributor to Child Deaths.” Population Reference Bureau. September 2007, p. 1. [v] “Nutrition and Global Health,” p.133. [viii] Rural Poverty Portal. “Rural Poverty in Ethiopia.” International Fund for Agricultural Development. n.d. 14 October 2007. <http://www.ruralpovertyportal.org/english/regions/africa/eth/index.htm&gt;. [ix] “Ethiopia: Health and environment.” World Health Organization. 2007. 13 October 2007. <http://www.who.int/countries/eth/areas/environment/en/index.html&gt;. [x] “Ethiopia: Country Brief.” The World Bank Group. 2007. 16 October 2007. <http://go.worldbank.org/WA1RL12OL0&gt;. [xi] Richard Skolnik. “The Environment and Health.” Essentials of Global Health (Sudbury: Jones and Bartlett Publishers, 2008), p. 122. [xii] The World Bank Group. “Overview.” Repositioning Nutrition as Central to Development. 2006, p. 10.